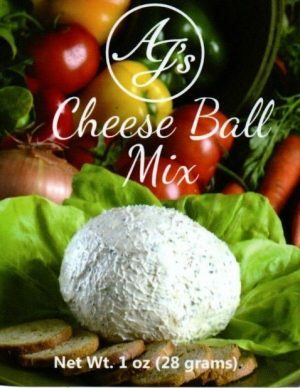 All vegetable cheese ball mix. Mix with 1 lb. 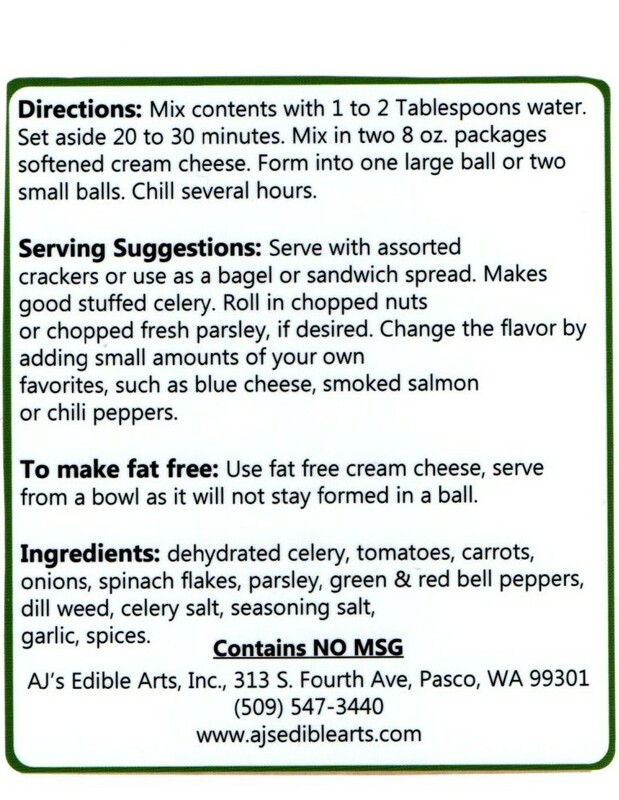 of softened cream cheese. Ingredients: Dehydrated celery, tomatoes, carrots, onions, spinach flakes, parsley, green & red bell peppers dill weed, celery salt, seasoning salt, garlic, spices.